Kevin Sussman was born on the 4th December 1970, in Staten Island, New York City USA, and is an actor, who is probably best recognized worldwide for starring in the role of Walter in the comedy-drama TV series “Ugly Betty” (2006-2007), and as Stuart Bloom in the TV series “The Big Bang Theory” (2009-present). He has been an active member of the entertainment industry since 1998. So, have you ever wondered how rich Kevin Sussman is? It has been estimated by authoritative sources that the total size of Kevin’s net worth is over $3 million, as of mid- 2016, acquired through his career approacing 20 years in the entertainment industry as a professional actor. 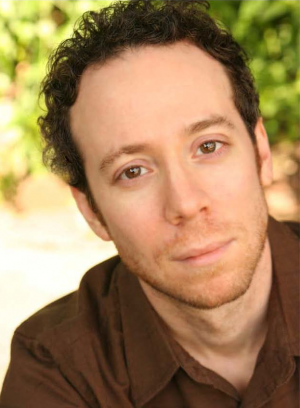 Kevin Sussman spent his childhood the youngest of four brothers in Staten Island, where he studied at the College of Staten Island for only one semester, after which he transferred to the American Academy of Dramatic Arts in New York City. Upon graduation, he began taking acting classes with the teacher of acting Uta Hagen for around four years. Prior to concentrating further on his acting career, Kevin worked at a comic book store, and sometimes featured in small roles. Kevin’s professional career began in 1998 with a small role in the TV series “Ghost Stories”, after which he starred as Alan Joseph Zuckerman in the film “Liberty Heights” (1999). In 2000, he earned the role of Lenny in the film “Almost Famous”, but before that, he made appearances in such TV series as “Third Watch” (1999), and “The Sopranos” (2000).Since that year, his career has only gone upwards, and so has his net worth. During 2001, Kevin featured in three films – “Wet Hot American Summer” in the role of Steve, “Kissing Jessica Stein” playing Calculator Guy, and in “A.I. Artificial Intelligence” as Supernerd, increasing his net worth by a large margin. In the next year, he repeated his success, appearing in films including “Pipe Dream”, and “Sweet Home Alabama”. However, his breakthrough came in 2006, when he was chosen for the role of Walter in the comedy-drama TV series “Ugly Betty” (2006-2007), alongside America Ferreira and Tony Plana. The role increased substantially the overall size of his net worth, and also his name became more sought after by directors and producers in Hollywood. From then the roles came one after another, first as Ras in the film “Heavy Petting” (2007), then as Dwayne in the TV series “My Name Is Earl” (2007-2008), and afterwards playing in a number of TV and film titles, such as “Burn After Reading” (2008), “Killers” (2010), and “Weeds” (2012). All these appearances added to his net worth, and in addition during the next year he wrote, and has benefited from his voice in, the film “Dark Minions”. To speak further of his accomplishments in the acting world, in 2015 he appeared in three episodes of the TV series “Wet Hot American Summer: First Day of Camp”, and currently in the role of Stuart Bloom in the hit TV series “The Big Bang Theory”, which has been aired on the CBS channel since 2009. If to talk about his personal life, Kevin Sussman is currently single, according to some source from the media. He resides in Los Angeles, California, and in free time, he enjoys cooking and being active on his official social media profiles. 1 One day on my way to class I ran into my brother Dan walking through the hall. I asked him what he was doing there, noticing he had some text books under his arm. He told me he was on his way to class and wanted to know what I was doing there. Somehow we were both enrolled in the same school, without the other knowing. Okay, we didn't hang out together all the time, he was four years older (still is), but we lived together! It was weird! Right? That is weird, isn't it? 3 Initially used movies from the 70s as Inspiration for acting, Kramer Vs Kramer, The Graduate and Taxi Driver are just a few. 4 Is the youngest of 4 boys. 5 Worked at a comic book store, prior to acting. 6 Attended the College of Staten Island for a year, then transfered to The American Academy of Dramatic Arts. After graduating from AADA, Kevin studied acting with Uta Hagen for four years. 2nd Serve 2012 Scott Belcher / O.C.D.